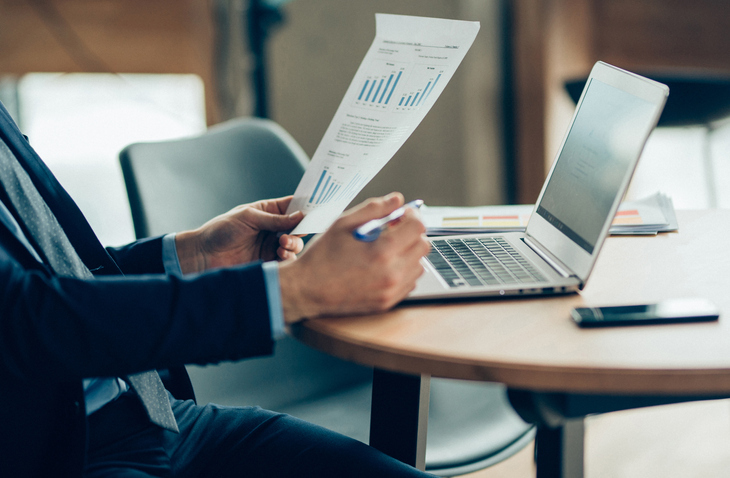 When an investor turns to the Internet to find a fee only wealth management firm, there are many options, so it’s incredibly important to know what you’re looking for. How are these firms different? What is the real difference between wealth management services at one firm as opposed to at all of the other companies that offer financial planning and investment management services? These are good questions. And crucial ones to answer. Who will be your personal contact? When hiring a fee only wealth management firm, you may assume that the advisor you are talking to will be your personal contact, but there’s a very good chance that you’ll be wrong. At Financial Freedom, this is true – the owners of the company are your personal contacts – but this isn’t typically the case. Trust issues, experience and education are critical factors to consider when making the decision to hire a wealth management firm. Do your research. Looking for a long-term relationship with a trusted financial advisor? Contact Financial Freedom to learn more about our services and how we can help you. In our opinion, the only form of compensation that an investor should accept is the fee-only method. This means that the only money that the firm receives comes directly from the client. There are no commissions and no kickbacks. We believe this insures complete objectivity. What will your financial plan look like? Personally, we always prepare a detailed personalized comprehensive financial plan that normally takes 20 to 25 hours to prepare, but again, that’s not the case for all firms. Beware: Generic plans may cost less or be free, but you may not get what you need. Financial Freedom’s ongoing retainer relationship is unique and based on a list of activities that we will perform on an annual basis. This list includes all of the financial planning activities and investment management activities that are included in the relationship. We assign hours to each activity, which allows us to propose an annual fee. We changed from charging a percent of Assets Under Management to the retainer approach because charging based on assets seemed to prioritize investment management at the expense of comprehensive financial planning, a strategy that unfortunately many other financial firms follow. Again, be aware. Many financial firms focus on asset management only and charge based on a percentage of assets managed. Many times, retainer fees are less expensive and include both investment management and comprehensive financial planning services. What does financial planning mean to the firm? At Financial Freedom, we place a great deal of emphasis on the “softer side” of comprehensive financial planning. In other words, we want to understand the life goals and objectives of each of our clients and do a good job coordinating the use of the assets (investment management) with the achievement of their life goals and objectives. Not all firms take this approach! What is the firm’s relationship with their fund partners? We at Financial Freedom have a longtime relationship with Fidelity Investments. As custodian of each client’s assets, Fidelity Investments offers a wonderfully open platform that allows us to implement our fee-only approach with ease. Fidelity’s platform allows us to buy almost any investment available; not only Fidelity funds. Quite frankly, our clients own more non-Fidelity funds than Fidelity funds. For example, Vanguard, T. Rowe Price, Dodge & Cox, Janus, Third Avenue, etc. Again, not all firms take this approach, and a professional partnership could lead to major conflicts of interest that encourage a firm to suggest a product that may not be the best decision for you, but it will make the firm money. Additionally, Fidelity offers all of the latest and greatest Internet access, electronic linking and transfer capabilities to our clients’ local checking accounts, free check-writing privileges, etc. Who sees your account information? Each Financial Freedom client has their own individual Fidelity statement, and with approval, Financial Freedom will also receive a copy. As we manage a client’s assets, we seek approval prior to making any changes to a portfolio. Once again, not all companies take this approach. Instead, some companies will consolidate assets as a group and wish to manage the portfolio without prior consent. The firm will then advise a client after the fact of the investment results. Financial Freedom does not do business like this. At Financial Freedom, we hold ourselves accountable. Our overall business strategy is to add value to the relationship and be considered an investment, as opposed to just another expense. On an annual basis, we provide each client with an annual performance package. This package will recap all of the comprehensive financial planning that we have provided during the year. Additionally, we will compare a client’s actual portfolio returns to appropriate industry benchmarks. This performance package allows our clients to determine whether we have a win-win relationship that has added value to them and their lives. Be sure to ask others whether they will provide an annual performance review comparing actual results to industry benchmark returns. Will the firm act as a fiduciary? The term “fiduciary” is very important in the financial services world. As Registered Investment Advisors, fiduciaries – that’s us – are required and personally committed to always act in the best interests of the client, which means the client’s best interests come before the advisor’s. We believe this just makes good business sense. Many advisors do not act in a fiduciary capacity and are therefore able to act in the advisor’s best interest. This can be very dangerous for an investor. Has the firm been checked out? Paladin Registry is an independent organization dedicated to helping investors identify quality financial professionals. Paladin vets, validates and documents the quality of advisor ethics, business practices and services to determine eligibility for the Registry. Paladin has provided Financial Freedom with the highest five-star Financial Advisor Due Diligence certification. You can see our profile here. Not all firms can provide this. Will a firm also be able to help your children? In addition to having an ongoing relationship with our clients, in many cases, we also provide guidance and assistance to our client’s children as they become teenagers and beyond. We have found that guidance and discussions with a financial planner is an important ingredient in helping children (younger or older) achieve their financial goals and objectives. We normally provide this financial planning guidance to our client’s children at no additional fee. Contact me directly to learn more about how Financial Freedom can help you.